A healthy South Indian breakfast dish, this is best served with sambar and chutney. 1. Pour 5 cups of water into a heavy bottomed pan. 2. Place it over medium flame and bring to a boil. 3. Add oil and little salt. 4. Mix the wheat flour with the remaining 1 cup of water and add to the pan. 5. Bring to a boil and simmer until it does not stick to wet fingers. 6. When it reaches this consistency switch off the flame. 7. 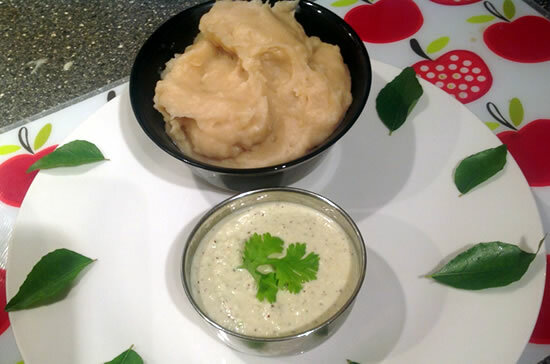 Serve with sambar or curd raita. 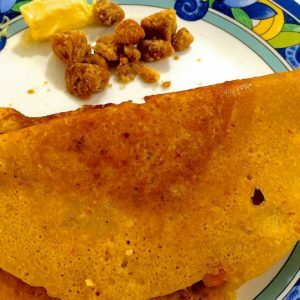 Feel free to comment or share your thoughts on this Godhumai Kali (Wheat Kali) Recipe from Awesome Cuisine.